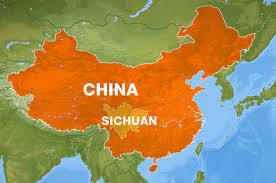 At least two people were killed in the 6.9 powerful earthquake in China's Sichuan province Saturday morning. According to report, this is the same place where the devastating quake occurred 5-years ago. China's seismological bureau said, "quake hit shortly after 8 a.m. in Lushan county in the city of Ya'an." Sichuan provincial government posted in their official site that there are two people died in Lushan and that two townships had suffered severe damages. According to U.S. Geological Survey, they recorded it at 6.6-magnitude while the local seismological bureau measured the quake at magnitude-7, it was powerful enough to cause severe damage. Local News Agency in Xinhua said, "the quake rattled buildings in the provincial capital of Chengdu 115 kilometers, or 70 miles, to the east." Residents in Lushan county used social media to post photos of collapsed buildings and to report their water and electricity had been cut off. For the meantime, If you like this information, please bookmark it now or visit this site more often for you to be updated. You may also share this post to your friends so they may know about China 6.9 Earthquake 2013 . Comments or suggestions about "China 6.9 Earthquake 2013 Strikes Sichuan" is important to us, you may share it by using the comment box below.